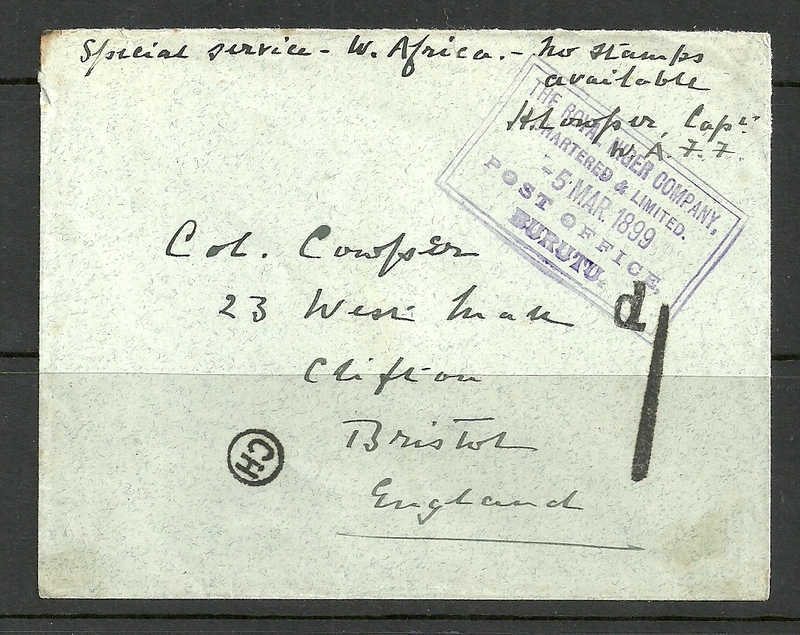 1899 Niger Coast, Special Service, Neat E. - Enfield Stamp Company Ltd.
Home / Niger / 1899 Niger Coast, Special Service, Neat E.
1899 Niger Coast, Special Service, Neat E.
1899 Niger Coast Special Service-West Africa-No stamps available, Neat E.
Liverpool BR Packet 27 March 1899 cancel on reverse. Extremely RARE, attractive and presentable Exhibition Quality COVER. Very few known! *The Officers rate was 6d. but this was charged out at 1d.-Soldiers rate.